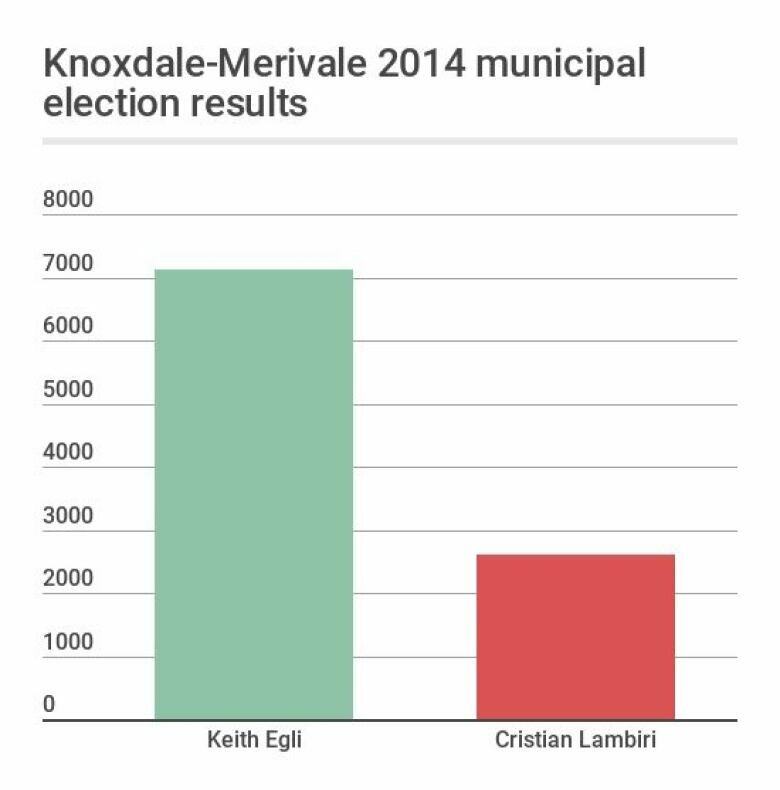 There will be more door-knocking in Knoxdale-Merivale during this election campaign with an increase in the number of candidates vying for the councillor's chair. 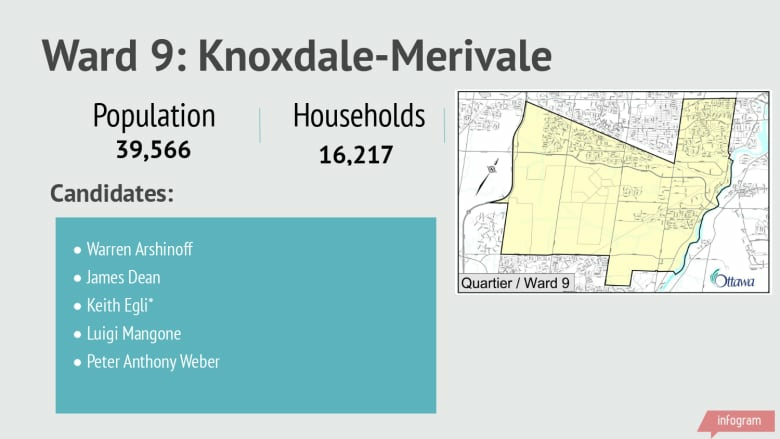 Knoxdale-Merivale has a population of 39,566 people living in 16,217 homes. The incumbent, Keith Egli, has been the councillor since 2010. He only faced off against only one other candidate in the last election and won with 73 per cent of the vote. Knoxdale-Merivale has many parks and recreation centres, including the city's largest: the Nepean Sportsplex. The National Capital Commission also announced a plan in August 2018 to look at using a parcel across the street from the sportsplex for a film sound stage and creative hub. As far as candidates go, James Dean has run twice before: in 2006 against Gord Hunter and again in 2010, when Keith Egli won the race to replace Hunter when he didn't seek reelection. He's looking to challenge Egli, the current transportation committee chair, a second time.